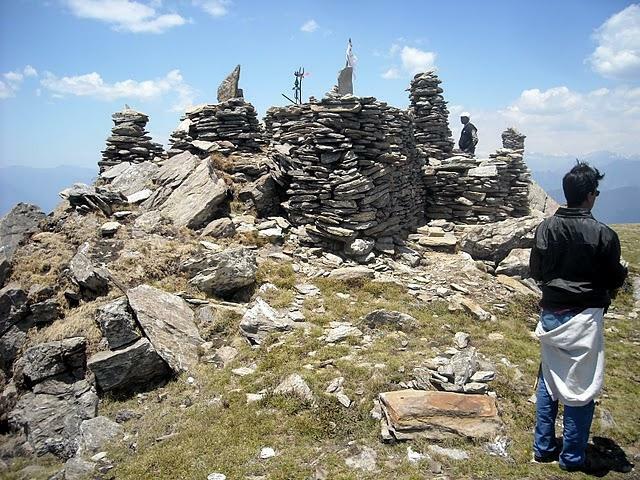 Kedarkantha is a 12,500 ft (3810m) high mountain summit on the Garhwal Himalaya. 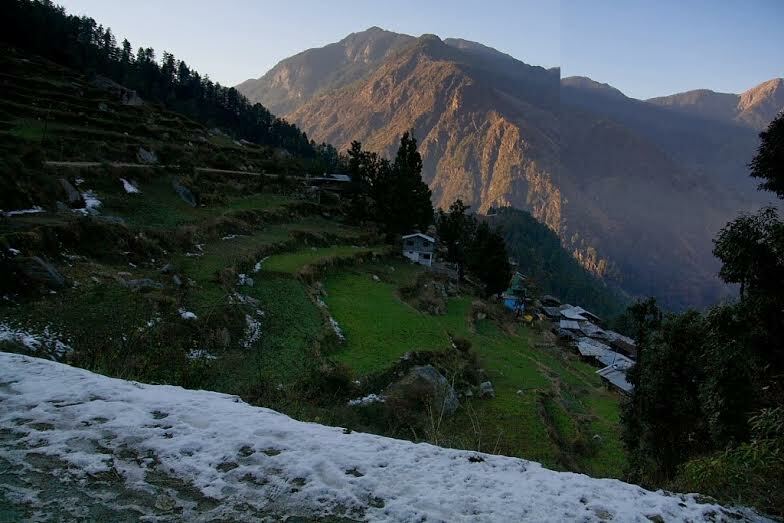 It lies in the Uttarkashi District of the northern Indian state of Uttarakhand. 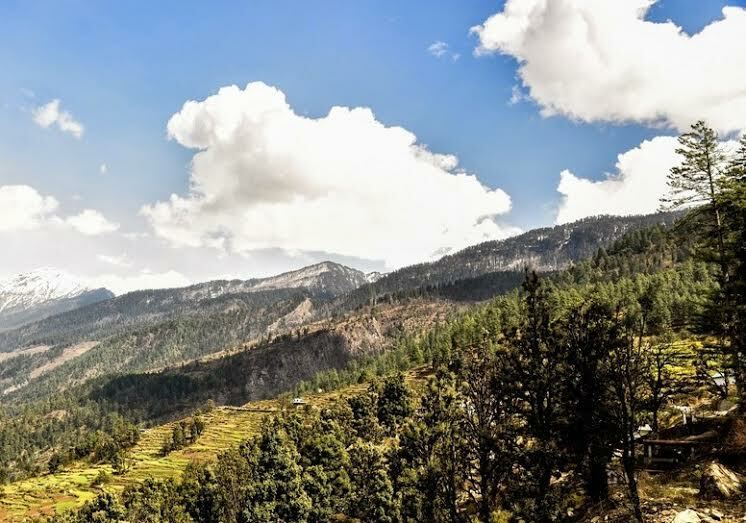 It is flanked by the Har-ki-Dun Valley and Swargarohini peak to the north, the Bandarpunch mountain massif to the north-east and Rupin Pass at Himachal Pradesh - Uttarakhand border to the north west. Travel from DehraDun to Sankari (210kmt) by luxury coach/ Max, Bolaro, (lunch on route ) on arrival check Sankari G.M.V.N.and Hotal SwrgaRohni Palace at Sankari which is located on the confluence of the Supin River at Sankari Left side a small village sour so looking four nice view for hark ki dun and swargarohani pic Sour village Lord of Somiswar Temple and Rite side Supin River The best Know valley in the region is the pretty Har ki Dun loved for its wids expanse flowers and Mountain views. The valley east of Har ki Dun. 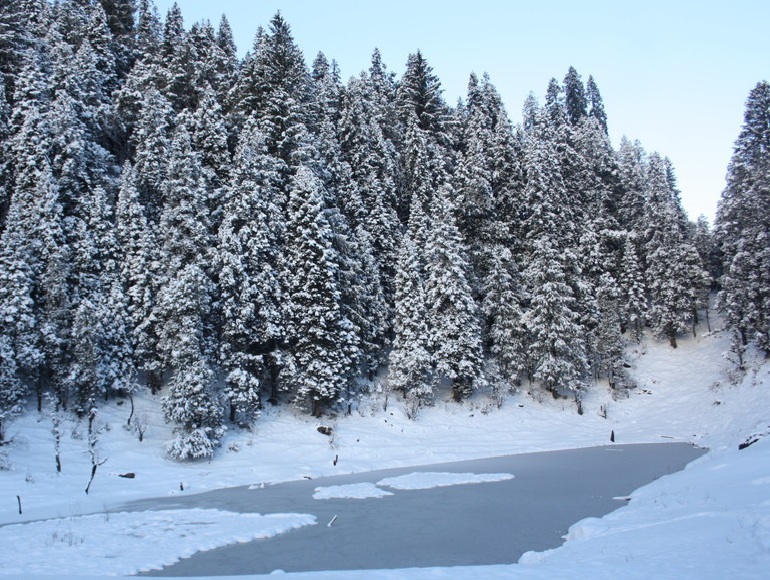 From Dehradun to Sankri/Saur (1850mt) through the Yamuna and Tons valleys across the Yamuna bridge, Nainbagh, Nowgaon, Purola, Jarmola (Jarmola is one of the biggest and most beautiful pine forests in Asia), Mori and Netwar. Trek to a tiny market in Sankri, a few wooden huts serve simple yet delicious food. Dinner and overnight stay at the GMVN (Garhwal Mangal Vikas Nigam) rest house or the Forest Department's rest house or in tent. On an even surface through thick forests, with a few waterfalls on the way. Dinner and overnight stay at Juda Lake in tent at the camping! With packed lunch, to Bainya (Kedarkantha 3836mt). You could either opt for the steep climb of Bainya Thach, which is a path with beautiful views, or Dinner and overnight stay at the Kedarkantha Base comping in tent. ! On Kedarkanthaa (3812mt) mountains, with packed lunch, to Dunda thach on a gradual ascent that offers excellent views of the snow-covered mountains and vast valleys with huge waterfalls. The area is home to a number of rare species of Himalayan birds, Animal All Forest area and flowers, and is full of birch and spruce. After the last steep climb of. The beautiful Swargarohini, Harkidun Valley and Kalanage Pick stands tall overlooking this Valley of God.Shiv, Dinner and overnight stay at the Dunda thach Comping at tent. Ends to the (4000mt). Trek approximately 200 m Area to , you have the grass area Bard and Looking The Beautiful , Valley an Out of area to view Rawine Valley and Har-ki-Dun and The beautiful Swargarohini Pick Dinner and overnight stay at Shankri. Drive to Dehradun by taxi. (8/10 hrs) !! - Camping Tents, Kitchen tents, Dining Tent and Sleeping bags (Holofill) and Carry mats. - Guide, cook and camp helpers. - Any air/train to reach Delhi and return from Delhi. 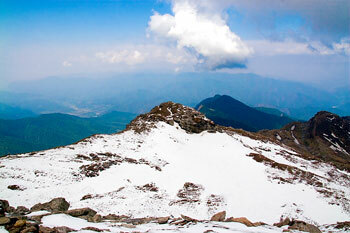 - Travel from Delhi to Dehradun. - Horses with horsemen to carry your loads on the route. - Your Accommodation or any other expenses before or after the trek schedule. - Anything not mentioned above.